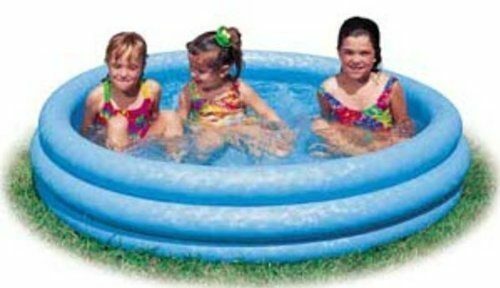 Intex Inflatable Pool Only $8.99! You are here: Home / Great Deals / Amazon Deals / Intex Inflatable Pool Only $8.99! Looking for a little pool for the kiddies for the summer? I have a great one that you can get without breaking the bank! This Intex Inflatable Pool is just $8.99 (reg. $12.95)! And, shipping is FREE with Amazon Prime or Super Saver Shipping! And, when you’re not using it as a pool, fill it up with plastic balls and use it as a ball pit! Kids can have fun with this one year-round! Available in 3 popular sizes! Ideal for ages 3 and up! 3 separate and Equal Rings!